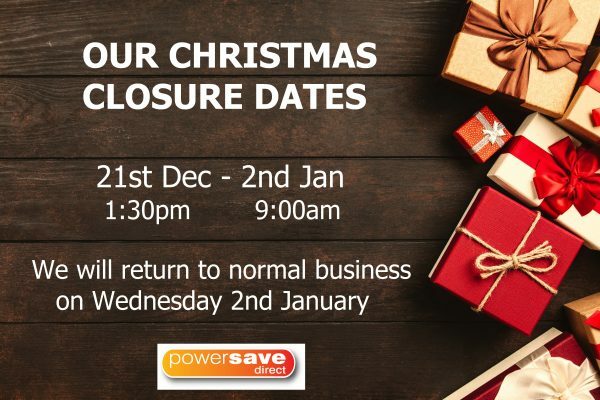 The Powersave Direct Office will be closed for the Christmas & New Year’s Period from 1:30pm on Friday 21st December 2018 and will re-open on Wednesday 2nd January 2019 at 9.00am. 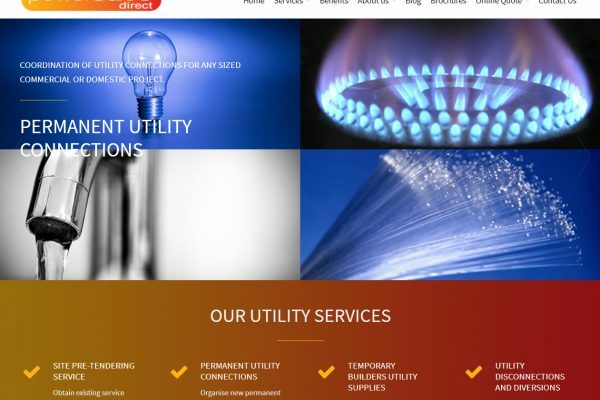 From everyone at Powersave Direct we wish you all a Merry Christmas and a Happy New Year and we look forward to your continued business in 2019. 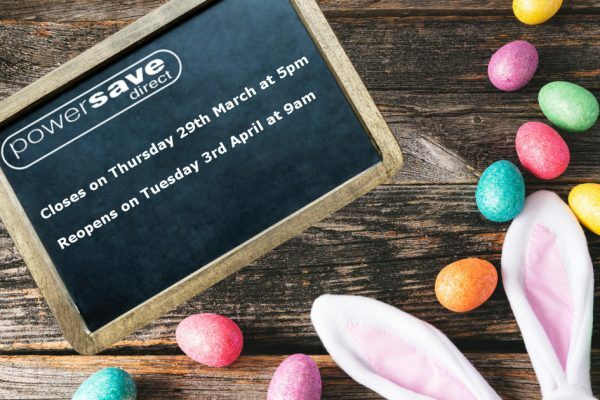 The Powersave Direct Office will be closed for the Easter Period from 5.00pm on Thursday 29th March and will re-open on Tuesday 3rd April at 9.00am. We would like to take this opportunity to wish all of our customers a very happy Easter! 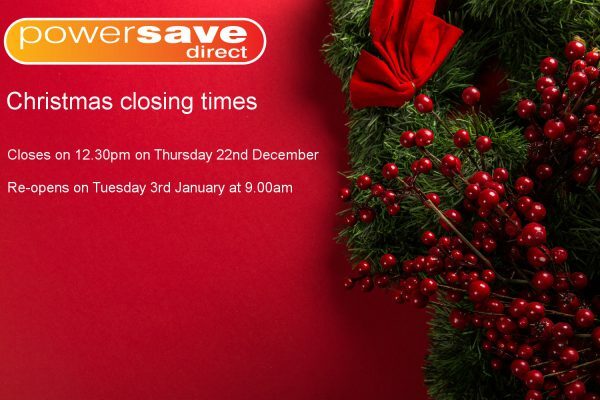 The Powersave Direct Office will be closed for the Christmas Period from 12.30pm on Thursday 22nd December and will re-open on Tuesday 3rd January at 9.00am. We would like to take this opportunity to wish all of our customers a very Merry Christmas and a prosperous New Year. 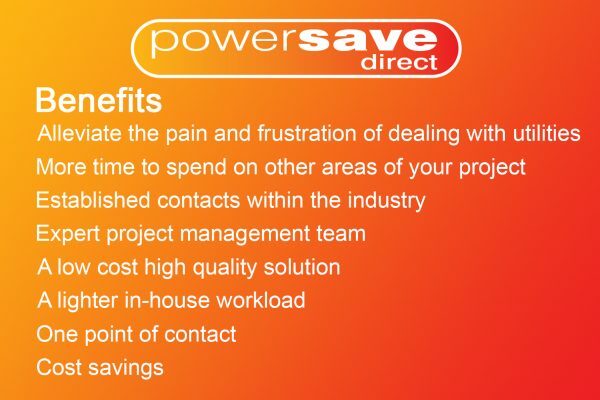 Powersave Direct are delighted to report that we have achieved SMAS accreditation. 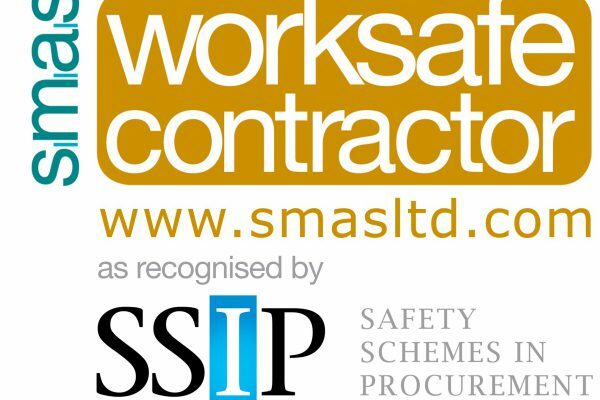 SMAS Worksafe scheme is recognised by all members of the Safety Schemes in Procurement (SSIP) Forum who offer two way mutual recognition. This accreditation reaffirms that Powersave Direct adopt the correct standard of Health & Safety to provide our consultancy services on construction projects.